It’s been a pretty interesting 24 hours or so if you happen to be a games console fan; and with Microsoft having earlier showcased a bunch of new, upcoming features encircling its popular Xbox 360 console, Sony has also had its say on proceedings by showing off its Cross Play feature, along with one or two other significant announcements. The PS Vita is, in the opinion of many, fighting a losing battle of relevance in today’s market. With mobile development rising exponentially, the requirement of a standalone mobile console is, it would seem, almost non-existent. That said, the Cross Play feature, which has been on the cards for a while now, could trigger fresh optimism about the device. In short, Cross Play allows one to begin a game on a PS3, continue on a PS Vita, and essentially flit between the two at one’s own convenience. 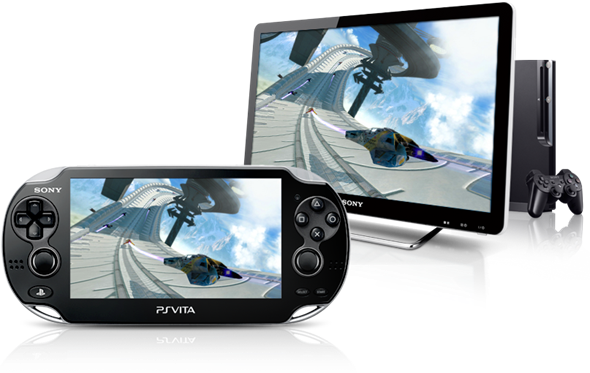 By offering Cross Play, PS Vita ownership instantly becomes a more appealing prospect, since unlike gaming on most mobile devices, you can kick back and continue on your HD TV once you return to base. As well as the pick up, put down nature of Cross Play, it also means gamers on the Vita can compete against those on the PlayStation 3, which will certainly cross boundaries we’d never previously have presumed possible. The early supposition that Sony was somewhat out of touch with the market in bringing yet another PSP-like device could now look to be a little premature, and the idea of Vita and PS3 engaging in truly high-end standards of gaming is certainly a trend which could go viral. As well as Cross Play, there will also be cross-controller DLCs available for both the PS Vita and the PlayStation 3. Although Sony remains tight-lipped on any solid details, Little Big Planet 2 will be one of the first titles to boast cross-controller DLC support, and will allow the Vita to be used to create levels on the PS3, which may wind up being pretty engaging. If the PS Vita is to have any lasting effect on the market, consumers will certainly need to buy into this attempt at solid integration. Will they? Well, I’m not convinced – given the improving standard of smartphone gaming in particular – people will bother purchasing the comparatively bulky device.